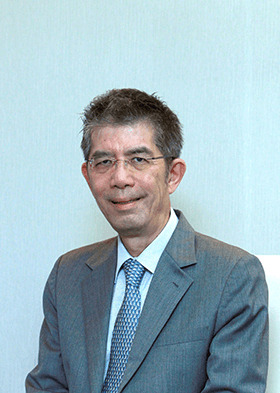 IN the second part of this series, Ho Seng Yee, RHB Asset Management Sdn Bhd’s CEO and regional head of retail distribution shares about how investors will benefit from the recent changes in the asset management industry and how they should invest in volatile times. The asset management industry has demonstrated steady growth over the years. The latest data (as at September 2014) from the Securities Commission Malaysia shows that the total AUM for the industry has reached RM633.31 billion. This compares with RM569.2 billion in 2013 and RM486.04 billion in 2012. The total AUM include unit trusts, corporate funds, institutional funds and all private mandates. Despite slower growth last year, the industry is still on target, according to Ho. Masterplan 2, which is expected to help the industry reach RM827 billion by 2020,” he says. While investors have a growing appetite for funds, they continue to use traditional channels to invest in funds. They still turn to the banks’ consultants for unit trust products despite the availability of other channels, such as online platforms and financial advisers. “Banks have their own customer base, and they know their customers’ profiles. Consultants too have their own customer base, which has been cultivated over the years. When people invest through a consultant, they tend to continue investing with him or her,” says Ho. The local fund management industry is slowly being liberalised. Ho acknowledges that competition has been tough, and will only get tougher as developments take place. “Foreign asset management companies can now own 100% of local entities. That has significant implications,” he says. The increased competition will ultimately benefit investors as industry players will be forced to step up their game. “I think that is the key thing that will make Malaysian fund managers better. This bodes well for the investing public because the skill levels will go up,” says Ho. Will increased competition lead to lower management fees for fund houses? Ho believes this is up to the market to decide. “I think it is the same as general goods and services — when more people come in to compete, natural forces will push prices lower. Whatever we do, I think the competition will find its own fee level ... if everyone is charging 2%, you can’t charge 3% or 4%. But in the market, investors are seldom charged a fee of up to 5%, except by very good consultants,” he says. RHBAM does not charge upfront or backend fees for its PRS funds, according to Ho. “In the first few years of operations, we did not charge a service fee for our PRS funds. However, we now charge 1% and 0.5% upfront for equity and conservative funds respectively,” he says. The upcoming Goods and Services Tax will hit investors in the pocket, with a 6% tax on the sales charge. Ho says that with GST, fund managers will have to work even harder to provide returns for investors. Ho’s advice to investors during these volatile times is to “stay invested”. During times of market volatility, investors may become fearful and opt for less risky investments or stay out of the market altogether, which could lead to missed opportunities. “If the market is being beaten down, there will be opportunities to buy investments at lower valuations,” he says. “Secondly, as Malaysians we feel that our pockets are ‘lighter’ because of the depreciation of the ringgit. So if you don’t stay invested to hedge against this position, you will be worse off, won’t you? Ho advocates a stable and less volatile fund for investors with lower risk appetite. “When you have market volatility, investors tend to want a fund with lower volatility. They want a safer fund and stable returns, and most of all, funds that provide regular income,” he points out.